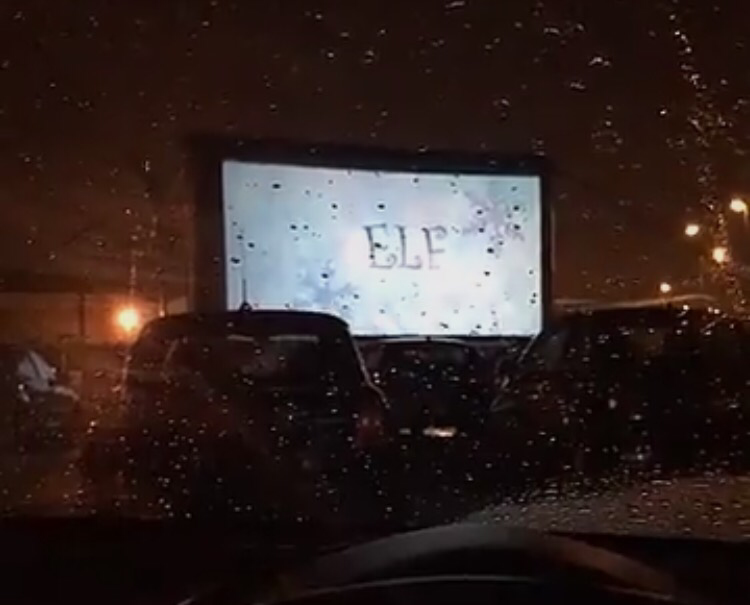 Today I have a review of a drive in cinema that I actually attended back in December to watch elf. However this company do tours all over the UK with a massive range of films all year round, so this post is relevant to any showing that they do! The first thing I have to say about this cinema is that it’s very weather dependant. As the screen is inflatable, high winds pose massive problems and we were worried our showing may not go ahead because the showings for three days before ours had all been cancelled. However, it did, and I’m so glad! This was an experience like none other. Because you tuned your radio into a specific channel to listen to the film, the sound quality was so much better than a normal cinema. It also made me feel like a character from Grease which is always a benefit. They had a van there with chips, burgers, hot chocolate, popcorn and pretty much every other movie snack you could imagine. The prices were affordable and cheaper than a normal cinema and the food tasted pretty good! The picture quality was great and the staff really went above and beyond to ensure this, even offering headlight covers for those cars who were ruining the quality with their headlights! My only dampener on the experience was the cars when we were trying to exit after the film. Many were impatient, were pulling out on you and others and were just being rude. One of the staff members was trying to get the headlight covers off of one car and the man just carried on driving! It was insane. But that’s no fault of the company, more of a fault of society. So, from me this experience gets 5/5. No complaints and left me feeling oh so Christmassy! Awww this sounds like such a magical experience, Hayley! I’d really love to go to something like this, especially to watch Elf which is one of my all-time-favourite Christmas movies! Such a shame that a few rude people at the end were rather impatient, you just can’t please some people haha! Next Post Should we censor what we say online?